Social conditions for the poor in Victorian times were very difficult due to the effects of the industrial revolution. Catherine Booth (1829-1890) was a social worker before she married William Booth (1734-1820) and together they started the religious organization The Salvation Army. Women in this organization had the same rights as men and together they tried to combat the poverty, alcoholism and homelessness that they found in London. Their organization spread across the world. Josephine Butler (1828-1906) worked with prostitutes in Liverpool. She said that the laws against prostitution were unfair because they only penalised women, and she started a 'Great Crusade' eventually managing to change the laws. Henry Mayhew published books of his interviews with the London poor. Many more people went to school by the end of the Victorian period. In 1837 the only schools that poor children could go to were those run by charities, often called ragged schools. Children often worked in factories in the mornings and went to school in the afternoon. In 1844 The Factory Act was passed which insisted that children under thirteen should only work six and a half hours a day. In 1870 the Education Act set up school boards to provide "elementary" education for children aged five to ten, and in 1891 elementary education was made free. Hundreds of schools were built in the 1870s to educate poor children. 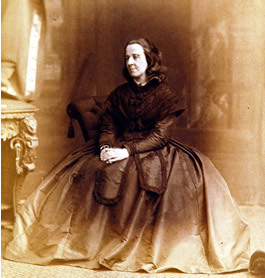 journal and in her articles campaigned for the education of women in universities and medical schools. In 1886 she wrote Essays on Women's Work, arguing that the law was biased because it treated women as if they should be supported by their fathers or husbands and did not need to be educated to do professional work. In 1866 the two women together formed the Woman's Suffrage Committee, to campaign for women to have the right to vote. In 1867, against the advice of her family and of Barbara Bodichon, Parkes decided to get married to a Frenchman, Louis Belloc, who was already seriously ill. Sadly Belloc died in 1872. Both her children were authors who were not interested in women's rights. Her daughter was the novelist Marie Belloc-Lowndes and her son was the famous anti-feminist Hillaire Belloc. The Town library has a biography of Bessie Parkes, and many books by Hillaire Belloc, mostly concerning his musings on life as he wandered around England.